The temperatures in the greater Cincinnati are diving into single digits this week ushering in freezing weather and increased possibilties for Carbon Monoxide poisoning. Not easy to spot in greater Cincinnati with the number of people currently suffering from flu-like symtoms. Long term exposure can lead to other symptoms such as vomiting, chest pain and confusion, serious medical problems and even death. 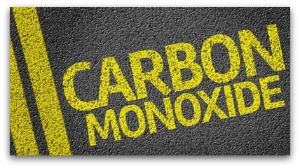 Poisonings from carbon monoxide are especially common during spells of cold weather when the usage of coal, gas and oil furnaces and appliances increases. Any place you’re living should have carbon monoxide detectors and this is good time to check batteries and add detectors if you’ve added on to your home or condo. If the detector alarms trigger- get out of the property immediately prior to calling 911. Install a CO alarm inside your home near all sleeping areas and test it monthly. Place the CO alarm at least 15 feet away from any fuel-burning appliances. Have gas, oil or coal-burning appliances, chimneys and fireplaces checked by a professional every year. Do not use a kitchen stove or oven to heat your home. Never use a grill, generator or camping stove inside your home, garage or basement. Do not leave your car or motorcycle engine running inside a garage, even with the garage door open.